Used on expanded metal to form a base, scratch coat then it can be used to form a float for the Plastalite Multifinish. 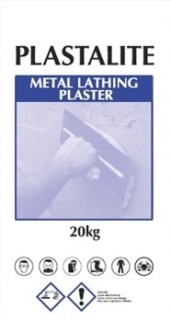 Also used in the repair of traditional wood lath ceilings. Scratch coat at 10mm thick. Float coat @ 8mm thick minimum.